BRAND NEW – Inventory is in “BRAND NEW” retail ready condition and in original packaging. 90-Day Warranty A 90-day Warranty is included for free with every product on VIPOUTLET. Yup, we are confident in our refurbishment. 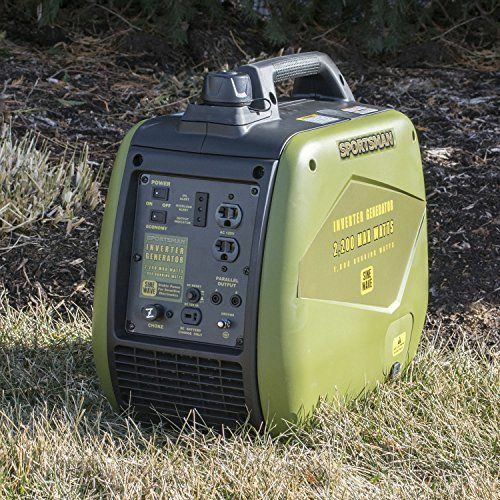 Safely charge and run your computer, TV, DVD player and more with the Sportsman 2,200 Watt Inverter Generator. Sine wave power delivers clean, stable and reliable power making it safe for use with sensitive electronics. You won’t have to leave your tablets, computers, and televisions at home. Great for use at home, or with the RV and camper, fire up Sportsman 2,200 surge watt Inverter Generator at football games, while camping and scouting. The 1,800 running watt Inverter Generator can even be used as a portable power source on industrial projects and job sites. Designed with camping and outdoor fun in mind, the Sportsman Inverter Generator is equipped with two 120V AC outlets, and one 12 Volt DC outlet for battery charging. High altitude use: this generator is not recommended for high altitude use above 3,000 ft.
All our devices undergo a rigorous 65-point physical and technical examination to ensure that we can deliver the highest quality to our customers. As an industry leader in product sourcing and reconditioning, we are expert in providing the best and finest quality products. We grade over 10 million devices each month and only the ones that pass our rigorous quality control with a score of 100% approval are released for the retail market. VIPOUTLET was established to provide consumers the opportunity to benefit from amazing deals on: new, over-stocked, open-box, and refurbished products from the nations largest retailers and manufacturers. Retailers and manufacturers provide products directly to VIPOUTLET to leverage our extensive remarketing channels. Sealed product is instantly made available to you for immediate purchase. If products arrive as open box VIPOUTLET refurbishes products to ensure they function according to the original manufacture's specifications. VIPOUTLET is North America's largest refurbisher of Retailers/Manufactures product backing our work with a 90-day warranty to ensure a great user experience. Every single item we sell goes through thorough inspection processes to make sure it works perfectly. For your safety and convenience, we process all payments through PayPal where all major Credit Cards are accepted (Amex, Visa, MasterCard, Discover, etc.). We unfortunately cannot accept payments from accounts located outside of the US and Canada. For "Buy It Now" listings, your PayPal payment is due at the time of checkout. For auction style listings, your PayPal payment is due within 48 hours after the end of the auction. Ground Shipping is always Free within the US (48 contiguous states)! Your order will be processed by one of our 6 fulfillment warehouses as soon as we receive it. We do our best to ship it out within 24-48 business hours of receiving your order and provide tracking numbers on all orders. Please note that we can only ship to addresses verified with PayPal or your credit card. We may contact you for additional verification if needed. We cannot ship to APO or FPO addresses, and orders to Puerto Rico, Hawaii, and Alaska will incur additional shipping charges. All order over $100 will require an adult signature. 90-Day Warranty on all our products. We proudly stand behind the quality of our products. If the device you purchased is found to be defective or experience a problem, we will be happy to provide a replacement if available upon the item's return within 90 days of your receiving delivery. If you need to return a defective device, please contact us through eBay messaging before shipping the return so we may initiate the RMA. Once the item has been received and verified, a replacement will be sent out free of charge. Should the same model no longer be available we will either offer a replacement of similar or better value or full refund. Our warranty policy is void if you attempt to modify, open, unlock, root, or change the operating system of the device, and does not cover damages caused by buyer neglect or abuse. Hassle Free Returns! All our products come with a 30-Day Free Return Policy. If you would like to return your item and you are within 30 days of the purchase, and it is still in its original condition, you can request a return label and return the item by contacting us through eBay messaging. We offer Free Returns and will provide you with a prepaid return label. Once the item has been received and verified, a refund of the purchase price and any taxes paid will be issued through PayPal. Our return policy is void if you attempt to modify, open, unlock, root, or change the operating system of the device. 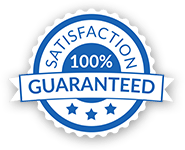 We sell brand new and refurbished products of a large variety - from “brand new” in original box to “like new” or “Refurbished” in an original or non-original box. The condition of the item you are purchasing will clearly be marked on the listing page. Does my product come with warranty? I received my item but it's missing something...what now? This means we messed up a little and we promise to make it right. Please contact us through eBay messaging so we can send you the missing item/accessory right away. I received the wrong item...what now? This means we really messed up and we promise to make it right. Please contact us through eBay messaging so we can get the right item sent to you right away. How long does it take to process my return/refund? Once you receive your prepaid return label, you will need to ship the item back to us. Upon receiving the item back at one of our facilities and checking it in for review, we will process your refund within 48 business hours. Please note that the time it takes for the funds to appear on your original form of payment is solely due to that specific financial institution or credit card. Typical industry times are 3-5 business days. We understand that sometimes there are situations where you may not be satisfied with your order/product or its fulfillment. However, we are here to assist you and resolve any issues that arise, so please give us a chance to do so prior to potentially posting any negative feedback. We are sure that we can provide a solution that makes you happy. Can I change the shipping address after I placed my order? Unfortunately, once you have completed checkout we are unable to make changes to your order. A 90-day Warranty is included for free with every product on VIPOUTLET. Yup, we are confident in our refurbishment. Fast & Free Shipping on all orders. Not completely satisfied? No problem! Send it back for free within 30 Days. We've got it all covered. Real support from the efurb Experts comes standard with every purchase. No extra charges. No Upsells. 100% Free.